Former PM Nawaz Sharif's son-in-law has caused uproar among Pakistan's liberal sections by demanding a ban on military jobs for the minority Ahmadi community. DW examines why Pakistan has a problem with Ahmadis. Captain (retired) Muhammad Safdar, who is ousted premier Nawaz Sharif's son-in-law and a member of the ruling Muslim League party, lashed out this week at the minority Ahmadi community in the country's lower house of parliament. He accused the religious group of conspiring against Pakistan and called for an action against them. "These people [Ahmadis] are a threat to this country, its constitution and ideology," Safdar said. Safdar also asserted that he wanted to bring a resolution in the National Assembly (lower house of parliament) to put a ban on recruitment of Ahmadis in the armed forces. "Because theirs is a false religion, in which there is no concept of jihad for Allah," said Safdar. His comments about the minority group have angered the country's liberals, who say that Safdar is trying to divert attention from a corruption case against him by appeasing the powerful right-wing elements in the security establishment. Some say the rise of the Milli Muslim League (MML) party, which allegedly has links to banned militant groups, is the reason behind Safdar's diatribe against Ahmadis. The South Asian country's election commission banned the MML Wednesday on the government's request, but some political observers say that by raising extremist slogans, Safdar is trying to win back those right-wing voters in the Punjab province who had drifted to the MML in last month's by-election in Lahore. Whatever the reason may be, Sharif's son-in-law's anti-Ahmadi comments have dented the image of the former PM Sharif and his party, who gained tremendous support from Pakistan's liberal sections following his ouster on corruption allegations in July. "Around the world, nobody can speak about their minority populations in such a manner," Asma Jahangir, a renowned human rights activist, told a local news channel. "If we do not raise our voice against this incident [Safdar's speech] today, people like this [who make such remarks against minorities], will be in a majority," she added. Jahangir said that Sharif must take notice of his son-in-law's remarks about Ahmadis. It is probably due to the pressure from civil society that Sharif's aide and interior minister, Ahsan Iqbal, tried to distance the ruling party from Safdar's comments. "It is tragic to see hate speech against minorities in National Assembly. We believe in [an] inclusive Pakistan. Pakistan respects all minorities," Iqbal, who is on an official visit to the US, tweeted Wednesday. Ahmadis, who believe the Messiah Ghulam Ahmad lived after Islam's prophet Muhammad, insist they are Muslim and demand as much right to practice their faith in Pakistan as other people. Declared non-Muslims in 1974 by former PM Zulfiqar Ali Bhutto, Ahmadis face both legal and social discrimination in the Islamic country, and the attacks on their properties have increased manifold in the past decade. In December last year, thousands of religious fanatics attacked a mosque belonging to the minority Ahmadi sect as Pakistanis marked the birthday of Prophet Muhammad. In a well-coordinated attack, the hardliners besieged the Ahmadi place of worship in Chakwal, set the mosque furniture on fire, and wounded several people inside the building. According to Mahmood Javed Bhatti, a local police official, armed men also opened fire on Ahmadis and clashed with security forces. The Islamization of Pakistan, which political analysts say started during former Prime Minister Zulfiqar Ali Bhutto's government in the 1970s, culminated in the 1980s under the former military dictator General Zia ul-Haq's Islamist regime. It was during Haq's oppressive rule that Ahmadis (also known as Qadianis in Pakistan) were banned from calling themselves Muslim and building their mosques in the Islamic Republic. Their places of worship were shut down or desecrated by hard-line Islamists with the support of the state. However, Amin Mughal, a scholar based in London, believes the issue is more political than religious. "Ahmadis were once a relatively strong group within the Pakistani establishment. The dominant Sunni groups felt threatened by them and axed them out of the state affairs," Mughal told DW in a 2016 interview. Pakistan has witnessed an unprecedented surge in Islamic extremism and religious fanaticism in the past decade. Islamist groups, including the Taliban, have repeatedly targeted religious minorities in the country to impose their strict Shariah, or Islamic law, on people. Baseer Naveed, a human rights activist, says that Ahmadis continue to be persecuted and attacked in Pakistan with the full backing of the state. "The government wants to appease Muslim fundamentalists and right-wing parties. We see that the Pakistani state continues with its policy of hatred towards religious minorities, which embolden fundamentalists," Naveed told DW. Safdar also suggested the government should rename the Islamabad-based Quaid-i-Azam University's Dr. Abdus Salam Physics Department. Internationally, Dr. Salam is known for his outstanding contribution to physics and his groundbreaking work that led to the discovery of the so-called "God Particle," but in Pakistan, where the late Nobel laureate was born, Dr. Salam is a heretic, whose name has been removed from all text books. Salam's crime was that despite being a genius in the field of science, he was an Ahmadi. The university's physics department has rejected Safdar's demand to remove Salam's name. Pakistan is not the only Muslim-majority country where Ahmadis face systematic persecution. In South Asia, Bangladeshi Ahmadis are also discriminated against, whereas the situation is direr in Southeast Asian Muslim nations, particularly in Indonesia. Most of Indonesia's over 200 million Muslims are Sunnis. There are an estimated 100,000 Shiites and 400,000 Ahmadis who were declared "deviant" by Indonesia's top Islamic body in 2008. According to various polls, over 40 percent of those surveyed in Indonesia would not want Shiites or members of the Ahmadi community living in their neighborhood in comparison to 15.1 percent who said they did not want Christians or Hindus as their neighbors. Ahmadi leaders in Indonesia complain that members of the community have been intimidated and terrorized since 2005 and that their prayers and activities have been banned in many districts. An especially shocking incident happened in February 2011 when 20 Ahmadis were attacked on the Java peninsula by about 1,500 radicals. 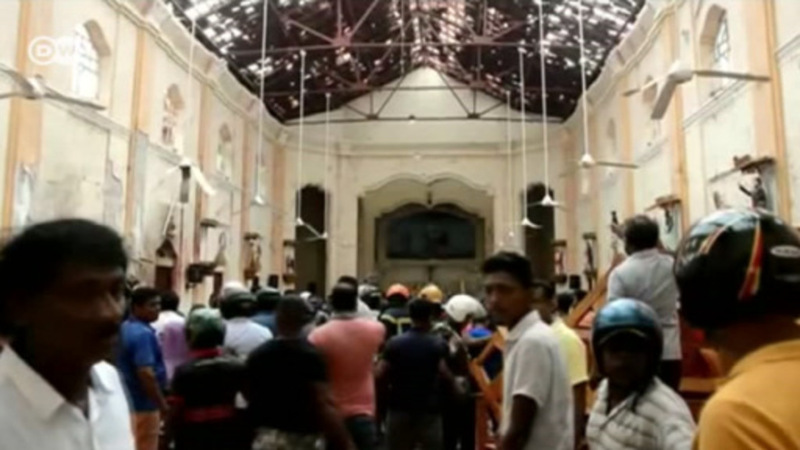 Three members died and five were severely injured. Moreover, people who are discriminated against on religious grounds do not seem to be able to turn to the courts for help. In Pakistan, it is illegal to drink, eat or even smoke in public during Ramadan. You can be sent to jail, heavily fined, or may even be beaten by vigilantes. Earlier this month, the country's lawmakers introduced stricter penalties that could see people jailed for up to three months for a violation. Bakhtawar Bhutto, the daughter of former Prime Minister Benazir Bhutto, was quick to condemn the latest amendment, dubbing the law "ridiculous." "Not everyone in Pakistan will be fasting - children in school, the elderly, people with medical issues - Should we arrest them for drinking water?" tweeted Bhutto. "People are going to die from heat stroke and dehydration with this ridiculous law." "A person who, according to the tenets of Islam, is under an obligation to fast shall not eat, drink or smoke in a public place during fasting hours in the month of Ramadan," says the Ehtiram-e-Ramadan (Respect for Ramadan) law, which was introduced by the military dictator Zia-ul-Haq in 1981. Theologically, Ramadan is about austerity. It teaches Muslims to be pious, to stay away from evil, to fast during the day, and to donate money to the poor. "Zakat" (which means alms-giving in Arabic) is an Islamic tradition in which Muslims give part of their earnings to those in need, particularly during this holy month. The Islamic month of Ramadan coincides with sweltering temperatures in most Muslim-majority countries. In 2015, a brutal heat wave killed over 1,250 people in Pakistan - many of them died of dehydration while fasting. Even then, the government did not relax the 36-year-old law. Some clerics did, however, say it was permissible to break the Ramadan fast for health reasons. Nearly all restaurants are closed from fajr (dawn) until maghreb (dusk), and shopkeepers only sell takeaway food items. If you are hungry or thirsty the only place for you is home. At offices - both public and private - you are not allowed to eat. With the war in Afghanistan and growth of Islamist organizations such as the Taliban in the region, things have taken a turn for the worse in the past few years. Religious extremism and intolerance are on the rise in the South Asian Islamic country. At the same time, Ramadan is also an opportunity for extremist and militant outfits to rake in cash through charity donations. Pakistan's top court has upheld its decision to acquit Asia Bibi of blasphemy charges, but the grave injustice that kept the Christian woman in prison for almost a decade demands introspection, says DW's Shamil Shams.